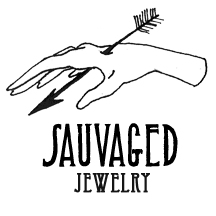 SAUVAGED. HANDMADE JEWELRY. VICIOUS AESTHETICS. Stay in the loop-discounts, news, thrills & chills!